Home | About Us | Welcome to SMA! 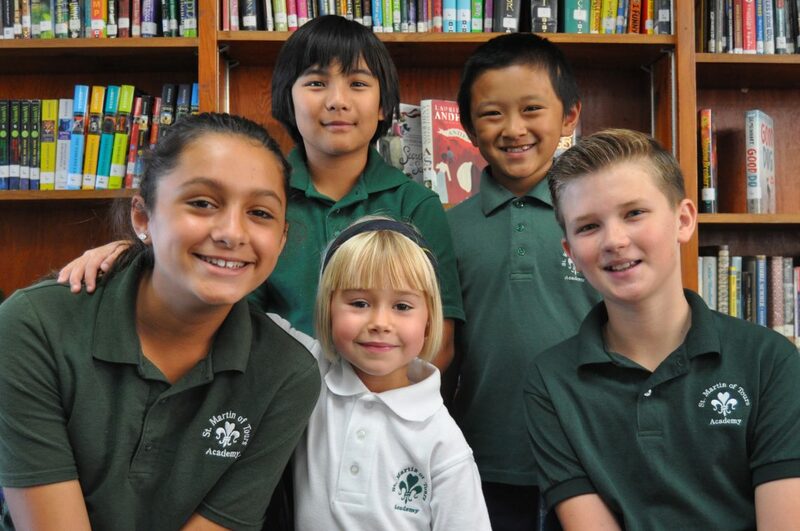 Parents can expect the best for their children at St. Martin of Tours Academy. Our teachers combine their talents and energy to create an educational program of recognized quality. Our goal is to lead each child to the fullness of human development and intellectual potential. We do this not only through formal instruction, but also by knowing each child individually. Care is taken to encourage self-esteem while providing a strong academic foundation for each student. A Catholic education is an advantage for life. Discover how St. Martin of Tours Academy is unique with an educational system integrating spiritual and human development, life skills, and intellectual challenge. We employ a system of human growth and a learning process called Pilon® Workshop Way® which ensures that all students have equal opportunities to learn how to think, how to learn and how to make responsible decisions in their own lives. We base our philosophy of education on the premise that all persons are created equal in worth as human beings. In justice, children have a right to grow to the fullest potential in an atmosphere of utmost reverence and respect.